How do you label yourself? Vegetarian, Vegan, Plant-Based or None of the Above? Home → Nutrition → How do you label yourself? Vegetarian, Vegan, Plant-Based or None of the Above? Food labels are a hot topic. Although some consider them too complex, they are a useful tool which provides information regarding the nutritional value of packaged foods. Some countries are very strict when it comes to labels. Others, not so much. Combine that with an increasing number of consumers who feel they have a right to know what’s in the food they eat and you have an emotional topic with no easy answers. There are also other labels associated with food. Those labels describe the people who eat foods that fall under certain categories. Based on what you eat, you may be labeled a carnivore, vegetarian, or vegan or any number of sub sets under each one of these. And therein lies the problem. As is often the case when trying to label people, the reality is that we are complex individuals and one label does not always accurately define us. Some common labels and my problem with them. Don’t worry, they mean the same thing. People who don’t eat meat tend to be put in the category of vegetarian. In 2011, the documentary Forks Over Knives, was released based on the work of Dr. T. Colin Campbell and Dr. Caldwell Esselstyn Jr. It was then that the term whole-foods plant based diet was born. 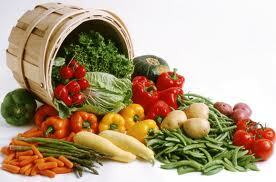 This way of eating consists of vegetables, whole grains, legumes and fruit. The phrase became so popular that now the term plant-based is often used as a substitute for vegetarian. It wasn’t long before the plant-based notion started to spread. Dr. Esselstyn’s son, Rip Esselstyn, a firefighter and a triathlete developed a diet for his firehouse to help his firefighters lose weight and get healthy. The project brought about the 2009 book The Engine 2 Diet: The Texas Firefighter’s 28-Day Save-Your-Life Plan that Lowers Cholesterol and Burns Away the Pounds. It was his attempt to show a connection between good health and a plant-based regimen. His second book in 2013 My Beef With Meat introduces a new term, plant-strong, to underline the fact that you don’t need meat to have a strong body. His firefighters proved that. Since Rip was a triathlete he soon got the attention of other athletes. Some of them were already vegans which meant they didn’t eat any animal products at all, including dairy and eggs. And that is what Rip was promoting. Other athletes however were getting all their protein from animal products and many started to look at plant sources for their food. As a result many athletes including marathon runners, endurance athletes, power lifters and even football players made the switch to a plant-based or plant-strong regimen because not only did it help them shed fat, it helped remove post-training inflammation and many claim their performance improved. The problem I have with all these labels is that there are a lot of people who may be on a journey toward eating healthy and they don’t quite fit in any category. A label such as the ones mentioned above just doesn’t accurately define them. For example, there are many people who decide to eat healthier for a while, until they’ve achieved their weight loss goal. Once they’ve achieved it they often go back to eating crap. These are people who are not looking at a lifestyle change. Is there a label for them? Yo-Yo Dieters is one that comes to mind. At the other end of the spectrum are people who are committed to a lifestyle change and want to eat healthier for the rest of their lives. These are the people who are taking steps, some big and some small, to make changes in their habits. They are not changing cold turkey. They are removing processed junk foods and replacing them with whole living foods. They are also increasing their intake of plant food and eliminating a lot of animal products. For them this is a journey they are committed to for life. What should we call them? Brian Kateman may have the answer for you. Brian is the co-founder of the Reducetarian Foundation and their goal is to build a community of people who are committed to eating less meat,- red meat, poultry, and seafood,- not only for their health, but for the benefit of animals, and the environment. This is perfect for people who are not able or willing to give up eating meat completely but they’re willing to reduce the amount they do eat. It’s also a gradual program and you can start by setting small goals such as eating 1 meatless meat a week for 30 days. Then you can move on from there. The feeling is that no matter how small a step people take, their efforts will have a positive impact not only on their own health but but on the lives of animals and the planet as well. My own journey has been a gradual one and has spanned 10 years so far. I started by removing heavily processed foods and replacing them with whole, lean and clean foods. See an article I wrote in 2011 called: Eat Yourself Healthy. Then I started to remove more and more meat and eventually dairy. You might say I was/am a Reducetarian and didn’t know it. Seeing as I still do eat some chicken from time to time as a condiment and I always eat lobster whenever I go to Maine, and cheese whenever I go to Wisconsin, I don’t fit in as a vegetarian or a vegan. So I call myself a Flexitarian and I feel that suits me fine. I thrive on whole food plant based meals 95% of the time but that last 5% prevents me from being otherwise labeled. I eat this way because I feel so much better when I follow a whole food plant based regimen and I’m able to maintain my goal weight (10 years now). So how does a person decide? You don’t! Let your body decide. Journal everything you eat and write down how you feel, physically and emotionally, and make a note of your weight. If you tune into your body and listen to it’s complaints you’ll soon be able to figure out what is best for you. Once you’ve found your path, who knows, you too may want to create a whole new label of your own. Isotonix Multi Vitamin | Buy Now! Isotonix Calcium Plus | Buy Now! Isotonix B Complex | Buy Now! Heart Health Omega 3 Fish Oil | Buy Now! Isotonix OPC-3 | Buy Now! Ultimate Aloe Juice | Buy Now! TLS Tonalin CLA Supplement | Buy Now! For updates and articles via email about health, wellness, mushing and life, click the sign up button below. 10 resources when considering a plant-based diet. How about a MacStatin with that Quarter Pounder? Chaga Tea. Why all the hype?